The High Court of Gujarat in Nitaben Dineshkumar Oza. v Dineshkumar Ishwarlal Oza & 1 Other [SPECIAL CRIMINAL APPLICATION (MAINTENANCE) NO. 5202 of 2015] has ruled that a father is not liable to provide maintenance u/s 125 Cr.P.c to his male child beyond age of majority,unless he suffers from any physical /mental abnormality and unable to maintain himself. The litigation had a chequered history. The court below, pursuant to the divorce proceedings, between the husband and wife, had issued an order directing maintenance to be paid to the mother and minor child(son). The mother and the son had filed (both jointly /other wise) various petitions seeking different amounts towards maintenances at various intervals, all of which were partly allowed. In a petition seeking the enhancement for interim maintenance for the mother and child , the lower court while allowing the same imposed a condition in its order dated 18/11/13 ,that the father shall only pay maintenance to the child till he attains age of majority(18 years).Even though the matter was taken before High court, the court being of the opinion that since it was a challenge against interim order of maintenance, relegated the matter for speedy disposal according to law, before court below. The maintenance amounts were directed to be continuously paid till disposal. On 5th October 2013, when the son attained age of majority,the father stopped paying him maintenance. The court below refused to entertain the plea of the mother alleging arrears of maintenance to the tune of Rs 78,000 between 11th August 2013- 10th September, 2014 on the count of its earlier order, that the son shall only be paid maintenance till he attains majority. The court however permitted the mother to move the High court for seeking clarification in this regard. The court also directed the father to deposit the alleged amount of arrears , subject to any order / clarification passed by the High Court.The mother then moved the High Court. 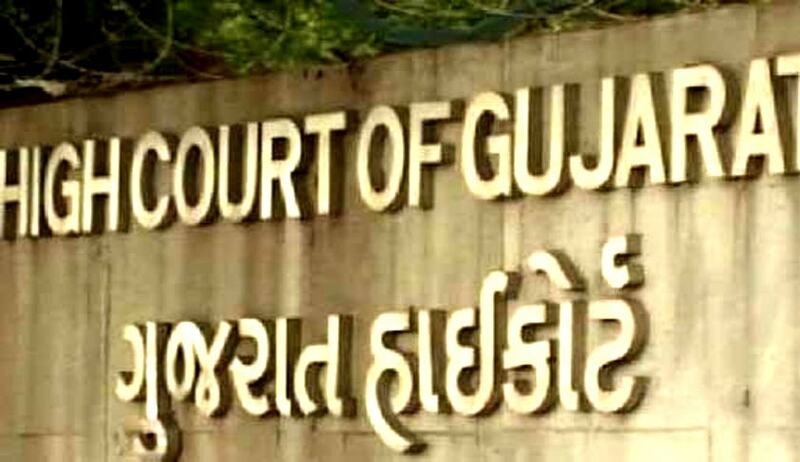 The High Court through Justice J.B Pardiwala rejected the application by the mother, holding that a father is not liable to provide maintenance to son beyond the age of majority(18 years),unless the son suffers from any physical /mental abnormality and unable to maintain himself .The court further rejected the contentions in extending the benefit of the provision of maintenance available to a daughter under section 125 Cr P.C beyond the age of majority ,till the date of her marriage, with that of the son. The High Court lastly referred to a judgment of a Karnataka High Court, as in Mallaya v Smt Mahadevi and others[2009(2) Karnataka L.J 130] which had remarked that every father had a social and moral obligation towards his children including his son, which may extend beyond age of majority,which includes ensuring sustenance through proper education and imparting better culture, to be a future citizen of the country .The bench hence concluded as follows:-“ I am in complete agreement with the views expressed by the learned Single Judge of the Karnataka High Court referred to above. It is for the respondent – father to act accordingly”.